Exploring the Tin Roof is made to feel as though you're walking through someone's home. 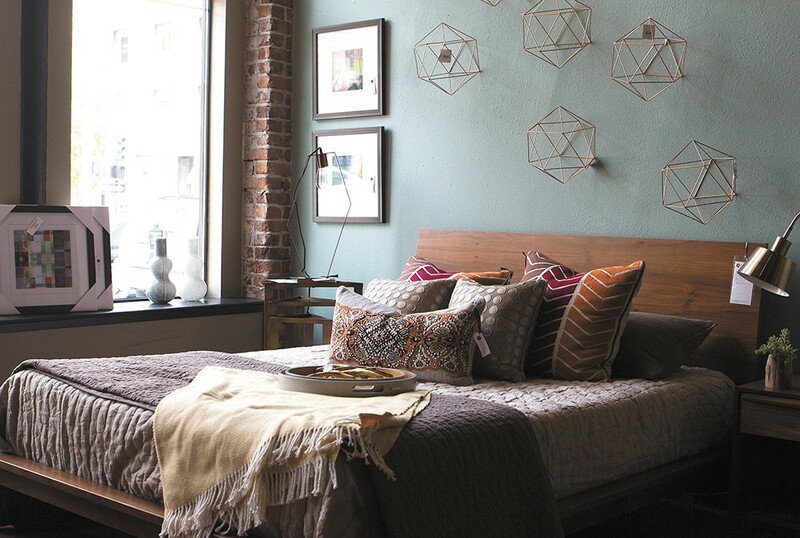 Whether you want to tie a room together or you're redoing your space from the ground up, the Tin Roof's staff of interior designers are happy to help you find the best décor and furniture to accomplish your look. The Spokane store got its start way back in 1945 as Acme Electric, selling TVs, and later on, computers. Now, the Hanley family's stores offer pretty much everything you'd find in a living room except for the TV. Walk into the showroom at 1727 E. Sprague and you'll see everything from modern to transitional to contemporary furniture, all thoughtfully pulled into displays that show how to make a space as comfortable on the eyes as it is to live in. "We want to make sure that people don't feel like they're coming into a store," says Heather Hanley, a third-generation owner. "We want them to feel like they're coming into a home." Instead of finding a couch with a few armchairs here and there, you'll find that moving between displays is like being transported to completely different homes. A cream sofa is decorated with orange and dark-gray throw pillows, with a large, oval wooden mirror on the wall behind it, which in turn is framed by four pieces of art. An open bookshelf is decorated with an hourglass and accent pieces. I can imagine the entire setup in a downtown apartment. Move a few feet farther and the color scheme and style has shifted completely; this time, blues and browns and grays create a living room I'd imagine in a new home. Raymond Ramos, one of the designers, says that he and the rest of the staff like to build up a relationship with customers, really asking what their goals are. If they want a couch, why is that? What is going to be around the couch? "If they say they want to upgrade their room, and describe their couch, which sounds OK, but then they have mauve carpet, let's think about maybe replacing that carpet first," Ramos says. "We always try to do the best for our clients." If you opt to have them visit your home personally, the designers can also get a feel for what the light is like, and help reimagine pieces you may already have, Hanley says. "We want to confirm that what you're looking at will look good in your home," she says.